Think about the biggest challenges your company has experienced with shipping this past year. Nothing brings these challenges to light more than the holiday season, which just closed with a 21.6% increase in online sales. While retailers had 97% fulfillment, the crush of orders being filled certainly brings pain points to the surface. 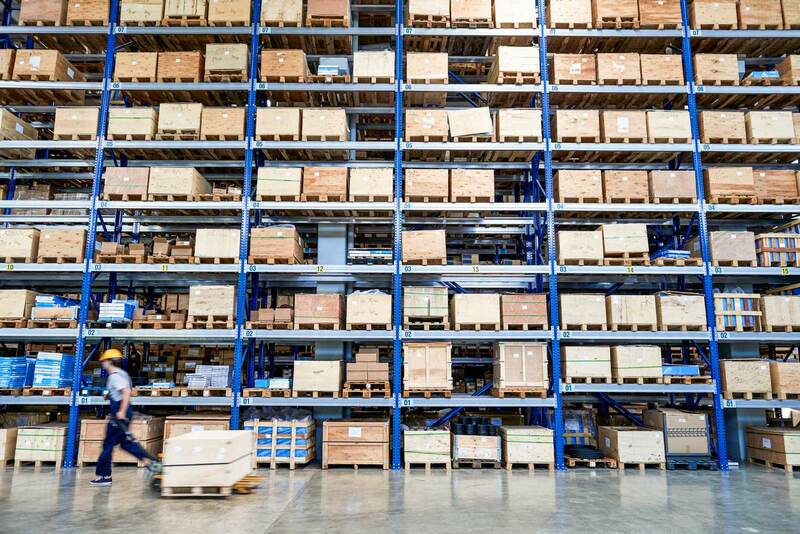 Companies may not even realize it, but they often find themselves trapped by many of the same things other manufacturers, wholesalers, retailers, and distributors encounter. Shipping is inefficient—Your team is wasting time managing multiple carriers and logging in to multiple websites each day. There is no integration—You lack an ERP system and shipping platform that work together in sync. The solution isn’t scalable—As your business adds new brands and partners, it is impossible to manage all of the shipping requirements. Strategy isn't evolving—Shipping is changing and operations execs are looking for ways to save, provide better service, and stay current. What are you doing in your business? If your business wants to be known for consistently efficient service, there is a better way to get there. Here are five shipping challenges you need to overcome in 2017 to help grow your business. You might not realize how much shipping software can impact efficiency. Logging into multiple websites each day to manage multiple carriers and shipments takes time. With a better system and process, you can reduce your overall labor force and increase productivity. Eliminating data entry time and errors, improving usability and speed, and automatically generating and printing the right paperwork make a huge difference. Team members are happier because there is less hassle and they can get more done. Companies are happier because they save money and don't need as many employees to manage the shipping process. We're not talking pennies here or there. This is real savings. In surveying our customers, we've found that they are able to improve shipping efficiency by up to 40% by using Pacejet. That's real money added to the company's bottom line by investing in the right shipping software platform. Companies who invest in an ERP system often find that it is the lifeblood of their organization. So why would you want a shipping solution that didn't integrate directly to your ERP? We often find companies who are looking at fresh ERP integrations consider a new shipping solution at the same time. But if you aren't ready for an ERP move, that doesn't mean you have to hold off on integrating your ERP and shipping. At Pacejet, we've built a cloud-based shipping solution that integrates into leading ERP, WMS, and ecommerce systems. But we also have a robust API that helps businesses integrate Pacejet quoting and shipping functionality into the work flows of any cloud or software application. This flexibility ensures that your programs run in sync and keeps your business moving without errors and duplication of effort across your team. One of the main problems of managing carriers through multiple websites and systems is that it is difficult to keep up with all the shipping requirements and it's impossible to keep adding carriers to grow your business without hiring more people. This is why many companies find themselves with 2-3 carriers. As your business scales, you need the ability to add additional carriers to service big accounts and meet growing demands. Having a shipping solution that allows you to easily integrate new carriers of different types--parcel, regional, and freight--is critical to meeting your customers' needs. Not all shipping software systems are created equal, and Pacejet allows customers to choose the optimal carrier mix that's right for them and integrates it into one system that makes the day-to-day management easy. Whether your focus is scaling for growth, or your simply concerned about cost, building a multi-carrier strategy is key for success. If you are a manufacturer, wholesaler, or retailer as well as a distributor, you likely need several carriers to meet customer demands. Choosing multiple carriers allows you to leverage the advantages of parcel, regional, LTL, and even 3PL and also compare rates to make sure you are getting the best pricing for each shipment. Our customers have seen shipping costs decrease as much as 30%. If you think you might want to expand your strategy, but aren't sure how to pick a new shipping carrier, we can help. In the age of Amazon, shipping is a clear differentiator. Everyone is now accustomed to two-day delivery. We talk to companies every day who are looking for a way to be faster, provide better service, and grow their business. As you start 2017, consider what you are doing this year to improve your shipping operations to not only be competitive, but to stand apart from the crowd. If you know that things need to change, we're here to help. Pacejet is the only shipping system to integrate all of a company’s shipping needs into one solution, allowing them to ship from multiple locations and with multiple carriers, and enabling access to parcel, regional, LTL, and 3PL. Customers praise Pacejet for revolutionizing shipping: saving more money with less labor and leveraging carrier choice to reduce shipping costs. Let's discuss how we can help you grow your business.